The original can opener with a sharpened blade. Designed by a cutler, and awarded the top prize at the Paris trade fair several times. 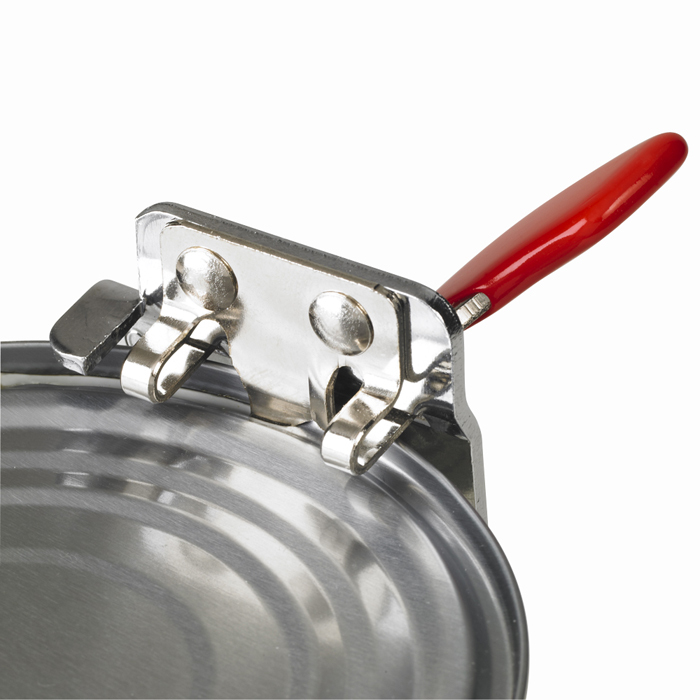 It is made from high-quality, rust resistant tempered steel and chrome plated nickel. The sharpened cutter is long lasting and open cans of all shapes and sizes. 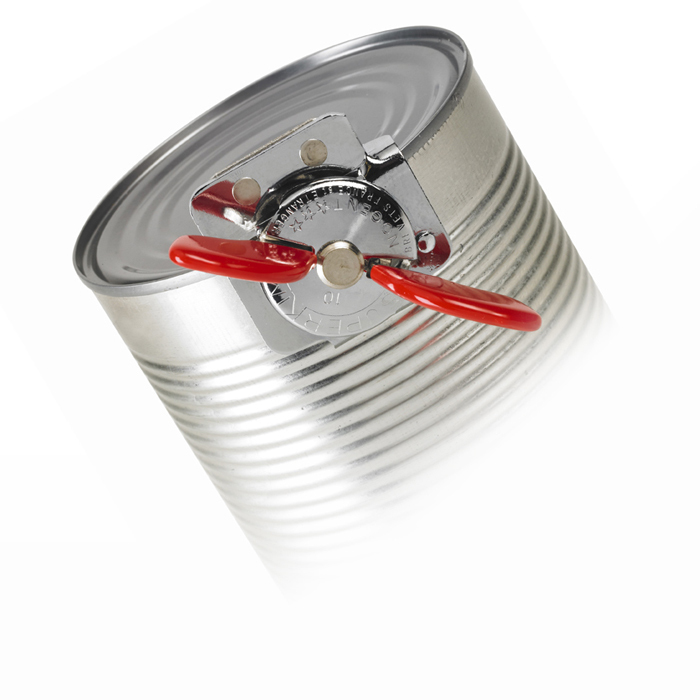 The cutter crimps and cuts the steel and leaves no sharp edges inside the can. The plastic-coated butterfly screw-handle is very comfortable and easy to use. Just put the blade on the edge of the can. With the other hand, hold the can. Then just turn the handle clockwise. It can be done with either hand. 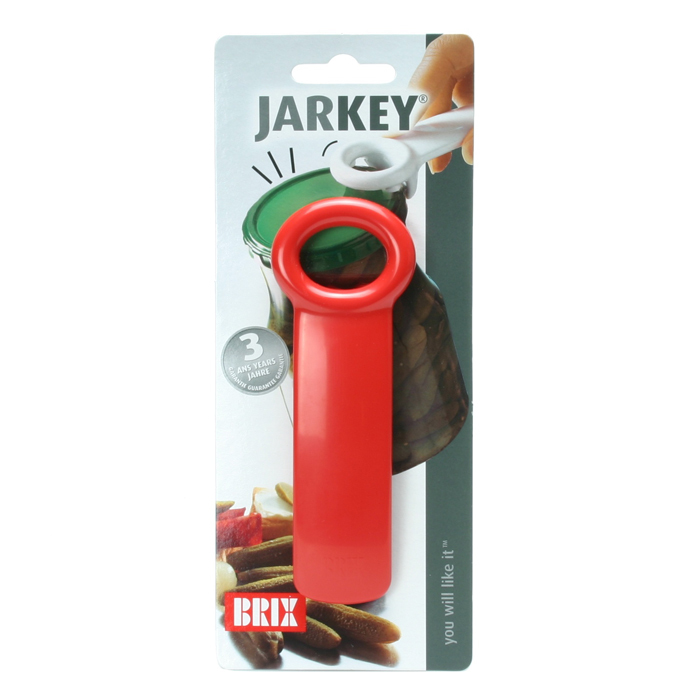 Thanks to its compact shape, it is easily put in the kitchen drawer. Also ideal for picnics, camping, motor homes, boating, etc.